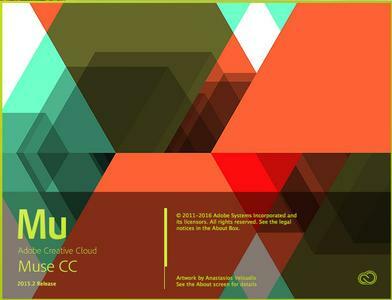 Adobe Muse CC 2015.2 - visual designer sites, operating on the principle of "display of any changes in real time." Thus, the developer is not required to open the site HTML-code - edit panel allows you to work with a web page as an image. Obviously, this approach is aimed at creating a development environment available to the user without special education. Adobe Muse 2015 enables designers to create websites as easily as creating a layout for print. Design and publish original HTML pages using the latest Web standards, and without writing code.